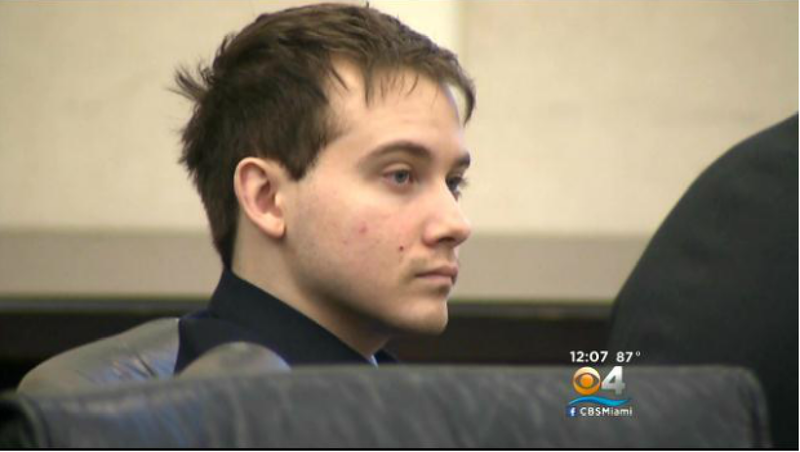 GAINESVILLE, Fla. - A judge denied a new trial for a Miami man convicted of murdering a University of Florida student in a fit of jealous rage. Lawyers for 20-year-old Pedro Bravo requested a new trial Tuesday after hearing statements by an attorney made at a sentencing hearing for Bravo's onetime cellmate Michael Angelo, a key prosecution witness in the case. Margaret Stack, Angelo's attorney, said at the hearing that State Attorney Bill Cervone called her seeking information about where Bravo had buried the body of 18-year-old Christian Aguilar. The Gainesville Sun reports Bravo was sentenced to life in prison without parole last month for the September 2012 murder of Aguilar. He and the victim had attended the same Miami high school, and Aguilar had started dating Bravo's ex-girlfriend when they moved to Gainesville for college. Gainesville Police Department investigators said Bravo strangled Aguilar in his SUV. His body was found in the woods three weeks later. Cervone denied asking Stack for Angelo's help, saying she called him with the information, according to the paper. Bravo's attorney Michael Ruppert asked for a new trial, saying he would have used that information at trial. The request was denied. Bravo is in prison for life without parole after a jury found him guilty of Aguilar's murder.